David Guinn was born and currently lives in Philadelphia (U.S.A.). His architectural training influenced his style that resembles a reproduction of pixel images. He is inspired by the cubist movement, more specifically by Paul Klee. Guinn takes into account the immediate surroundings of the mural, the urban landscape, the colours and the residents as essential elements of his creation. He has created more than 20 murals throughout the United-States, one of which is 150 feet in length at the Philadelphia International Airport. 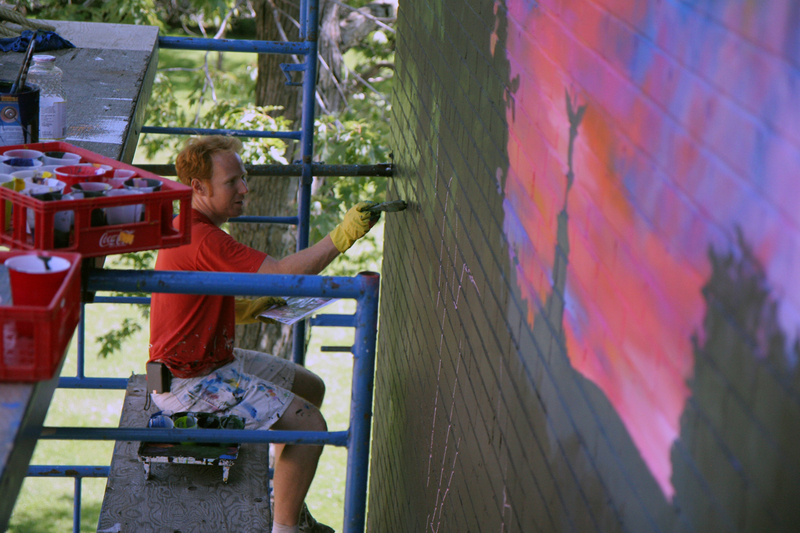 David Guinn is one of the important players in the North-American mural art world.